Jagruti's Cooking Odyssey: East meets West ~ Chocolate layered Barfi ! Hey Guys ! how are you all? hope fine ...yes...no ya ? no I am not gonna write too much today..don't know why..don't feel like it....little tired to write anything interesting for you guys..so shall we look at the recipe !!!! This looks gorgeous, chocolate is my favorite, and then combine it with one of my favorite Indian sweets - seventh heaven! Looks delicious...I'm on diet but it doesn't mean I can't eat a little (very very very little) slice of it. Bhathura were paradisiac, thanks so much for the recipe. Hugs. Makes me drool..feel like grabbing some..
Count me in for anything which has chocolate. Delicious barfis. I cannot resist myself seeing the delicious chocolate burfi.Absolutely goregous presentation. that looks so delish..that too with chocolate...yummy!! 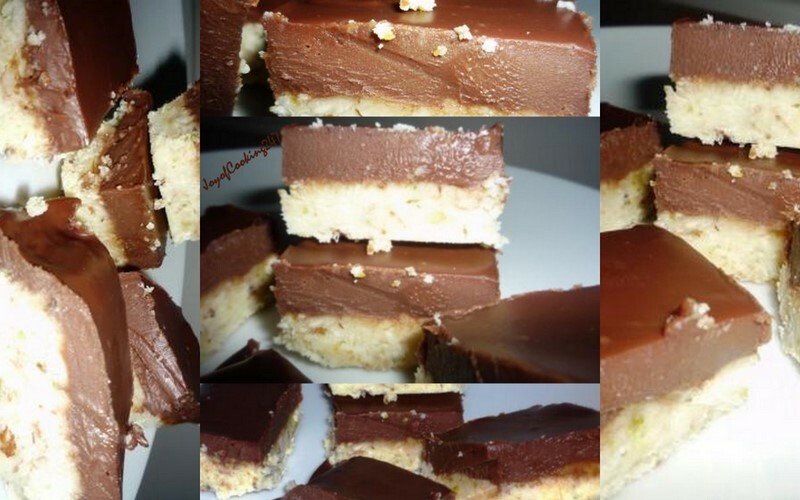 Chocolate barfi looks delicious and tasty. lovely barfi! looks so yum, must be great! Looks good ans simple to make! I love layered burfis,yours has turned out perfect,nice recipe!